Is Your Commercial Cleaning Company Making A List & Checking It Twice? The purpose behind janitorial inspections is NOT to fault find with your commercial cleaning services or beat the cleaning staff with a stick. Pointing fingers isn’t the purpose of janitorial inspections, rather it is to shine a light where work is needed and be proactive in finding little problems before they become big issues. Regular janitorial inspections are key in creating consistency. They can help assure reliability through accountability and they are an integral part of janitorial services best practices. Your commercial cleaning company should have a number of systems and practices in play to help keep everyone on their toes, but few are as critical as regular janitorial inspections. If your janitorial service is NOT conducting regular janitorial inspections, the chances that they will deliver the professional, proficient, efficient, cost effective, consistent service you and your facility deserve is low. Finding a commercial cleaning company isn’t easy. You partner with what appears to be a competent and capable company, you check off YOUR checklist. Safe, well screened employees, check. References, insurance, legal hiring, check. Green greening, check. You create a plan with your janitorial service and everything seems to be going according to plan, until it isn’t. It isn’t long before you realize that you haven’t been happy for awhile. You walk through your facility and realize the things that AREN’T being done are starting to pile up. You’re janitorial service isn’t performing to their agreements and you aren’t sure why. You communicate the missteps and unfinished work, first to the cleaners themselves, then to a supervisor. Maybe it gets better, maybe it doesn’t, but before long, a new set of issues pop up, then add up and you get to a point where perhaps you don’t even bother complaining anymore. Maybe you consider hiring a new commercial cleaning company but how can you guarantee they’ll be any better? The reality is that with janitorial services, there aren’t really guarantees. The work is done by people and people will miss things. While there are no hard and fast guarantees, there are ways to create reliability through accountability and that is where janitorial inspections come in to play. By conducting regular inspections, your commercial cleaning company keeps their teams accountable. Let’s face it, we all do better work when we know someone notices. Not only do janitorial inspections keep cleaners on their toes, they reinforce that their work MATTERS which in turn offer positive reinforcement and employee engagement. What Factors Matter Most With Janitorial Inspections? What should your commercial cleaning company be focusing on with regular janitorial inspections? First, there should be a focus on inspections that are both in person, visual and formal. Informal inspections can be useful but really, the communication between cleaning staff, cleaning company and customer is most critical. Only formalized inspections can deliver this information in a way that is most effective. Second, inspections should be simple but on point. If you have a large facility with multiple restrooms, it likely doesn’t make sense to assign a grade to every single toilet. Still, inspections of individual restrooms along with specific points for cleaning staff to improve upon are helpful. Third, use an inspection checklist or better yet, technology tools that not only help supervisors conduct regular janitorial inspections but communicate that information to everyone involved. Fourth, your cleaning company should take note of your requests, hot buttons and pain points. 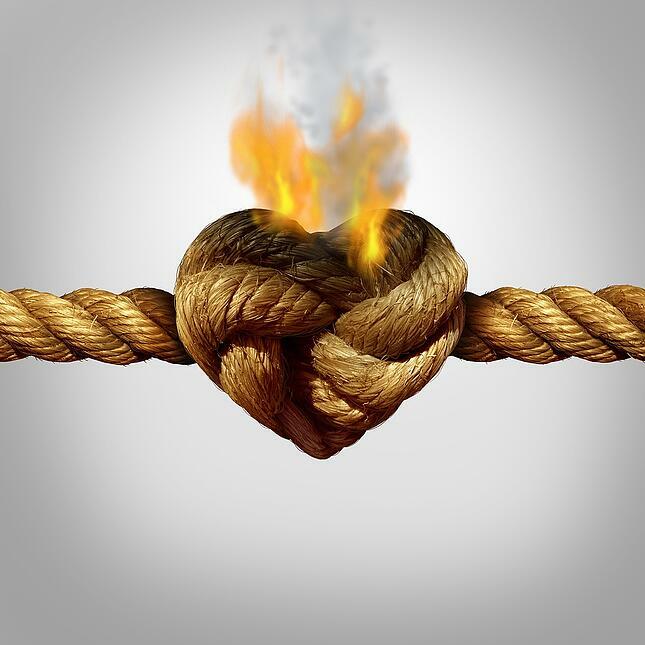 If they can’t get to critical issues before you notice them, small issues quickly morph into big problems. Your cleaning company should take note of and put special emphasis on the cleaning tasks and duties that matter to you most. Finally, your commercial janitorial company should communicate the results of inspections with you. It may seem counter intuitive to communicate your mistakes with a customer but as a Facility Manager, aren’t you going to feel better that THEY caught issues and remedied them? Won’t you be reassured that they are setting a high standard and working toward it? Regular janitorial inspections create a feedback loop that can take your building maintenance from good to great. How does this happen? First, your cleaners are made aware that there is a high standard and plan for assuring accountability in place. Great individual and great teams get motivated when they know their work gets noticed. This means your janitorial service can keep their best team members engaged and doing their best. It also means the team as a whole is held accountable to the highest standards. So cleaners who might be tempted to phone it in are made aware that mistakes stand out, unfinished work WILL NOT go unnoticed or unaddressed. Either way, you and your facility get better work more consistently. Similarly, you have an easy way to communicate issues and work together with your cleaning company and their teams to achieve very good service. Great service never happens without a plan. No cleaning company will be perfect every single time, but those companies that have tools and systems in place to assure reliability through accountability are poised to deliver better on their promises to you and create the kind of lasting business partnership that benefits you both. 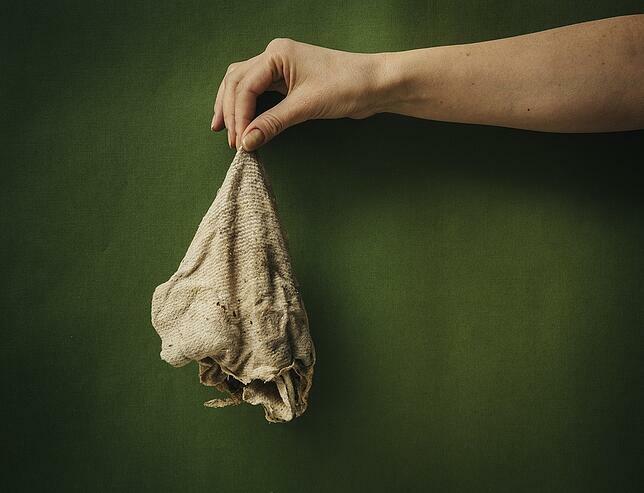 Is Your Cleaning Company Putting You In Danger With Dirty Rags? As Facility Managers, we contract with commercial cleaning services to make our spaces cleaner not dirtier. We utilize our office cleaning companies to prevent the spread of illness causing bacteria and germs not make it more likely. But if your commercial office cleaning company isn’t utilizing best practices like a color coded cleaning cloth system, they are putting you, your facility and your building occupants at risk for the complications of cross-contamination. In most office building and workplaces, cross contamination is already an issue as you have so many people in and out of your building and a multitude of surfaces that see many hands during the course of the day. It is already very easy for one employee to pass germs to others through touch points and hot spots, those oft touched surfaces like light switches, door handles and shared equipment like phones and computers. The best commercial cleaning companies limit the spread of disease causing germs by focusing on hot spots and touch points. And yet, if your janitorial services company is lax on carefully and consistently assuring that they are not contributing to cross contamination hazards, then they are likely making the threat worse. If just touching a communal surface can spread disease, imagine how much risk is increased if dirty, germ infested towels are used throughout your facility? All it takes is a towel used to wipe toilet seats in the restrooms being used to clean general office areas and you have virtually guaranteed more disease-causing germs spread throughout your facility and even more efficient disease transmission. That means more employee absenteeism, lowered productivity and even higher employee turnover. All because your commercial cleaning service couldn’t be bothered to safeguard health by adhering to janitorial best practices. It's hard not to pick up your phone, turn on the light or grab the computer mouse without wondering what grossness lingers on the surface. Reduce or eliminate the risk of cross contamination by insisting your janitorial services company use designated colored towels for specific tasks and areas. This easy to implement and easy to use system uses color-coded mop heads, buckets, rags, microfiber cloths and other hand tools to designate what gets used where in a clear, easy to use and easy to track method. The commonly used standard in color-coded towels is red for high-risk areas such as toilets and urinals; yellow for low-risk restroom cleaning like sinks and mirrors; blue for general cleaning (dusting, window cleaning, wiping desks, etc.) in other areas of a facility; and green for food-service areas. Assuring tools used to clean high-risk areas are easily recognized and used exclusively in those areas can virtually eliminate cross contamination and reduce colds, flus and worse in your facility. If your cleaning services company isn’t already utilizing color coded rags, they aren’t aligning their practices with janitorial industry best practices. Your commercial cleaning service should make it a priority to use this easy, effective practice that reduces and eliminate cross contamination and they should get their office cleaners on board. A color-coded cloth system helps cleaning teams keep track of their towels with an easy, visual coding system. The system quickly becomes routine and habit making it easy for office cleaners to adhere to best practices and keep cross contamination risks low. This means better sanitation and cleaner, healthier workplaces. Of course, anytime you implement a new system there is a learning curve, and yet, using color coded towels makes work easier, simplified rather than more complex. This easy change is typically welcomed by cleaning staff but it does require some training and reinforcement. In the beginning, many janitorial companies will post a color-coding chart offering cleaning staff an easy, clear visual. When office cleaners are aware of the risks presented by cross contamination through towels and are given a clear, simple system to avoid it, most care about health and doing their best in your facility. Color coded towels and cloths can even offer employees a sense of responsibility and engagement by enlisting them in the fight to safeguard the health of your facility’s occupants. Not only does this color coded cloth system make things easier for cleaning staff, it can be a powerful management tool. The use requirements for varying towel colors makes it easy for supervisors to determine whether the individual or team is cleaning as required. You and your cleaning company can quickly get an idea of how things are going when observing cleaners at work or even laundering cloths and mop heads. Let's say twelve red mop heads are generally used to in your building and now there are only 4 mop heads to wash, an observant supervisor is made aware that either mop heads aren’t being replaced often enough or the area in question isn’t being cleaned as required. While it isn’t the only quality assurance a janitorial services company should use, it is an effective one. 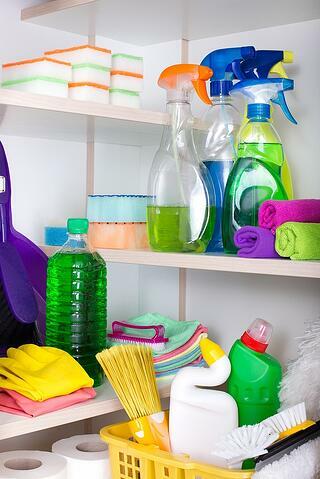 Color-coding cleaning items may be a new way of doing things but the reality is that it is a significant improvement over the old way of doing things. It is reasonable and low cost to implement and your facility deserves this assurance of health and quality from your commercial cleaning company. All facilities benefit from the use of color coding systems, including those industries that require health care cleaning, school cleaning, industrial cleaning, office cleaning and more. Color-coded cleaning cloths offer many advantages to both cleaning companies and the customers they serve. Reduce the risk of cross-contamination, control infection and get the quality cleaning deserve in your facility. Here at Stathakis, we use the color-coded cloth system company wide in an effort to further reduce the risk of cross contamination and systemize efficient, health conscious cleaning practices. Do You Understand Janitorial Pricing? Janitorial pricing can be confusing, but as a Facility Manager, you must understand what you are purchasing and what it should cost. How else can you determine the real value of what you are getting, stay on track with costs and hold your janitorial company accountable to the work they promised? All too often, commercial cleaning prices can get cloudy. Sometimes janitorial costs are not clear because a cleaning company isn’t experienced in accurately pricing their services. Other times, janitorial quotes are left purposely vague in order to compete in the bidding cycle but raise prices later with add ons and extras. Cleaning companies that play pricing games just add more work to your already full plate. You and your facility deserve the opportunity to compare ‘apples to apples’ with clear, easy to understand janitorial bids that give you the information you need to make the best decisions for your facility. Below we will detail how janitorial prices are best determined and how a better understanding of janitorial bids can help you determine your building maintenance budget and work with prospective cleaning companies to get a solid value for your building. Maybe you have just issued a RFP (Request For Proposal) or perhaps you have already received a number of janitorial bids. Ideally, when you receive these commercial cleaning quotes, you should get a clear breakdown of how each company is estimating their pricing. What costs are typically included in pulling together a janitorial quote? Labor is the single biggest expense your janitorial services company has. Even costs like insurance and management tie directly back to cleaning employees. Most cleaning is done by people and people must get paid, managed, insured and more. And then we have profit. Not everyone is comfortable talking about profit because it can feel like an extra, expensive add on. But really, every business must be profitable in order to keep operating and a healthy margin for your janitorial company means a long relationship and better service for you. Don’t shy away from discussing and clarifying costs and even profit with your prospective janitorial company. Of course, you don’t want to spend too much time considering your janitorial company’s profits when you have your own to think about right? And yet, it can be helpful to understand what you are getting out of partnering with a healthy, financially sound commercial cleaning company that pairs best practices with a healthy margin. There are points to keep in mind when examining janitorial pricing. First, in the business of cleaning, profit shouldn’t be a dirty word. Any janitorial services company that does not delineate a healthy profit margin from the get go should raise some red flags. Maybe you think, but if I get the price I need, why should it matter? It matters because a commercial cleaning company that hasn’t priced their services and your janitorial quote with a profit in mind is likely to shower you with surprise fees and extras later. Or their lack of sound pricing will come to compromise the liquidity of their business eventually leaving you without the promised building services. Better to be upfront with prices and profit from day one, allowing you to compare janitorial quotes in a meaningful way and find the best value for your facility. Likewise, profitable companies are in a better position to reinvest into their employees, upgrade their technology, upgrade their equipment, refine their processes in order to offer continual improvement and deliver the highest level of service and value to their customers. Low prices can be great, especially when shopping a tangible, physical good, like a printer for instance. A reviewed, branded printer is essentially the same whether you get it on sale or discounted at a different retailer, but services are different. First, your janitorial staff or office cleaning team and your facility staff or tenants work in close proximity. Second, the service is ongoing. This kind of arrangement works best with a balanced, professional partnership between companies that operate transparently and make good on their promises and agreements. No one wants to pay too much but when considering commercial cleaning services, value is much more critical. Price is what you pay, value is what you get. Is a compnay offering cloudy or enticingly low pricing really going to give you what you need? Is any price reasonable if your needs are not being met? Ideally, when you partner with the right janitorial services company, you pay a fair, workable price, you get the services you need at a level that is consistent, keeps everyone satisfied and requires the least amount of energy from you. With an ongoing, integral service like building maintenance, building a relationship with a trusted partner and getting value for your cleaning budget will deliver facility maintenance with less stress and more certainty, good things for everyone. Maintaining your building between your regularly scheduled janitorial services can be tough, especially in large, busy facilities. A clean building first thing when you arrive in the morning is no guarantee that your building will look good throughout the day. Little things from mud on a rainy day to a busy meeting that left an oft used conference room in disarray can throw maintenance into a tailspin. What if you could do the majority of basic cleaning in the evenings, yet have at your disposal a professional poised to help you maintain your building’s appearance throughout the day? That’s precisely what a day porter could do for you! Day porters help with daytime cleaning tassk, but they also keep your building looking presentable and sharp so that visitors, employees and tenants are never left to ruminate over overlooked tasks or maintenance items building up. Discreetly and without interfering with business activities, your day porter operates in the background assuring everything is as it should be. Your day porter provides you with a vital service, he or she can keep your facility clean and in good repair throughout the day and help you check off items that can quickly add up on your ‘to do’ list. Often times, a Day Porter is provided with an established list of duties to perform and a schedule on which to perform them. Because your Day Porter works during regular business hours with you and your staff, they can help you as the need comes up with nearly anything. Because your Day Porter takes their cues from you, you should, along with the help of your janitorial services company, put together a schedule of duties for your day porter. Being clear about what is required will go a long way in helping your commercial cleaning company find a person who is a great fit for your facility. Because day porters work during the day and often closely with you and your staff, it is imperative they are a good fit both among your staff and the overall culture in your company. Your commercial cleaning company can work with you to determine what you need from your Day Porter and how they can customize the position to best meet your needs. You understand your individual facility and your building services company has experience helping make their day porters a nearly indispensable part of your everyday building maintenance. Working in tandem, you can establish a job description and schedule of duties that helps your day porter understand how best to assist you and allows you to track the overall success of your Day Porter program. As mentioned, an effective day porter can become integral to your building’s smooth functioning, that is IF they are a good fit. With over thirty-five years in the building services business, we have come to understand that some personalities do incredibly well in the day porter positions. The people who tend to be the best fit for these critical service positions are positive, friendly, helpful, quick learners who can both dutifully execute routine tasks and thrive in the changing challenges the position offers. Your cleaning company must appreciate the magnitude of finding the right individual for your facility as well as the fundamentals of attracting, interviewing, screening, hiring and training great teams. Are they conducting thorough background checks including criminal background checks and drug testing every single time? People are the core of the business of cleaning, is your janitorial company doing all they can to bring you the best people? Anything less diminishes the trust and value you get with a successful day porter program. The most important part of a successful day porter program is communication. When you take the time to delineate those tasks most important to you, you let your day porter know what they need to do to be successful. Every job has favorite and least favorite tasks. If you aren’t clear with your day porter, they might gravitate toward their most favored tasks and tend to put off less pleasant duties to another time or push them to the evening cleaning team. And because they get so many requests, it can be a common trap that day porters fall into where they get so busy filling requests that they start to see more rote tasks as less important. So communicating with your day porter and the janitorial company that manages them is integral to getting what you need. Likewise, this may mean limiting who can make a request and having a point person who can help the day porter prioritize their work load in a way that works best for the individual needs of your facility. Communicating directly with your day porter is a good first step but remember, your day porter is the responsibility of your building services contractor and thus, the majority of management falls to them. If issues come up with your day porter, don’t hesitate to let your Janitorial Contractor know before little issues become big problems. And if the person serving as your Day Porter just doesn’t seem to be the right fit, tell you janitorial company. They want you to have a good fit so that you get all of the promised benefits of this critical facility service. A Day Porter service adds an extra professional feel to your facility helping it run like clockwork throughout the day, every day. If you are considering a Day Porter service, do business in Southeast Michigan and would like to know more, please contact Stathakis today at (800)278-1884 so we can assist you in designing a Day Porter Program to meet your facility’s needs. Ineffective Commercial Cleaning Services Getting You Down? Maybe your commercial cleaning company started strong but has gone steadily downhill. Or maybe they were never up to speed to begin with. Maybe you have been considering investigating a changing of the guard with regard to your janitorial company. But which way do you turn without better information when it comes to selecting from the crowded and often confusing janitorial services marketplace? Maybe you have become cynical after a few too many bad contractors feeling like maybe there aren’t any viable alternatives. Perhaps cleaning companies are all the same. Maybe you also worry that even if you had the information to separate the effective companies from the substandard ones, would you even be able to afford them? Here’s the reality, you can find a responsive, effective janitorial company but in order to do that, you must arm yourself with good information to make meaningful choices in the janitorial marketplace. How Many Mistakes Are Too Many Mistakes? Janitorial companies are made up of people, and people are not infallible. So your cleaning services are bound to make mistakes and missteps. But how many mistakes are too many mistakes? When issues come up are they handled or do they temporarily change only to quickly rear their ugly heads again? The following ten issues are the pain points we hear most from Facility Managers and what you can do to find a commercial cleaning company worthy of your janitorial budget. Imprecise, fuzzy pricing from your cleaning company or a confusing cleaning bid can be a first sign of trouble from a commercial cleaning company. Not only do cloudy prices make it tough to compare janitorial bids in order to pick the one that offers you and your facility the best value, it can make it hard to hold your office cleaning company accountable to the work. Sometimes pricing isn’t clear because a cleaning company is inexperienced in pricing their services. Sometimes it’s left purposely vague in order to upsell and add on later. Either way, less than transparent pricing makes it harder to budget accurately and stay on track. And it likely means you will be paying more down the line in order to get services you thought you were already paying for. 2. Is Your Cleaning Services Company Slow In Getting Back to You? A lack of responsiveness from your janitorial service is a big problem. Sure, mistakes happen, issues come up but if your Detroit cleaning company isn’t rectifying them quickly and getting service back on track, your building maintenance will suffer. We hear from many Facility Managers who tell us they are regularly told, “we’ll take care of it,” only to have the same issues come up over and over again. This puts you in the unenviable position of either learning to live with substandard janitorial services or micromanaging your janitorial company’s people. 3. Have Your Commercial Cleaning Services’ People problems Become Your Problems? Cleaning is a service business and like every service business, relies on people to deliver that service. For this reason, people are the foundation of any cleaning company. If your janitorial services company is taking shortcuts with any of their people processes, it is sure to affect your service. Among areas of concern are improper or inadequate employee screening, illegal hiring and illegal subcontracting and a lack of training and oversight. With people problems, businesses experience higher turnover, which means a sea of new faces in your facility. This brings with it security and service concerns that can be hard to address. And unfortunately, cleaning companies that take shortcuts with their people are likely taking shortcuts elsewhere. 4. Are You Struggling With Communication With Your Commercial Janitorial Service? Communication is fundamental in the delivery of a service. How do you know if you are meeting a customer’s expectations if you do not check in? From the initiation of the bid process to your first meeting, your Detroit commercial cleaning company should seek to fully understand what you truly need so that they can deliver. Your janitorial company’s job is primarily to solve your problems and in order to do that, they need to stay in regular contact with you. If you aren’t hearing from your commercial cleaning company regularly, or if you don’t know WHO you should be talking to in order to resolve issues, you are not getting the level of service you and your facility deserve. 5. Is Your Commercial cleaning company Using Dated Or Poorly Maintained Equipment? The cleaning industry has made great strides in equipment that is greener, cleaner and more efficient. Quality equipment can cut labor hours saving you money. Old and poorly maintained equipment just doesn’t do the job. If your company is using dated equipment, the chances are they are charging you MORE not LESS, and you aren’t getting the cleaning and value you deserve. 6. Does Your Commercial Cleaning Service Take Shortcuts With Security? Security is paramount and if your office cleaning company isn’t doing their part, you are at risk. What security issues come up often with commercial cleaning companies? First, some janitorial companies put you at risk with illegal hiring. Second, some Detroit cleaning companies take shortcuts when screening would be employees. No one wants cleaning staff with a criminal record or drug use freely roaming their building at after hours. Third and final, some cleaning companies skimp on training, wages, management and incentives leading to high janitorial turnover. That in turn means a revolving door of new people in and out of our building. If your janitorial company is lax with regard to security, it is time to say goodbye. 7. Is a Lack of Training From Your Cleaning Company Impacting Your Service? Cleaning is no longer about a mop and a bucket, there is a foundation of science behind today’s janitorial services. Effective cleaning requires both general and industry specific training. Whether you are looking for school cleaning, medical cleaning, industrial cleaning or office cleaning, there can be no doubt that employees who are well trained do better. Whether it’s best practices, safe chemical use and storage, effective Smart Cleaning strategies and more, solid training benefits you the customer and changes the way people feel about their work, which in turn fosters a more professional attitude. Everyone wins. 8. Is Professionalism In Peril? Professionalism is important in every industry and the building services industry is no exception. What does this professionalism look like? As mentioned above, it is well trained and well equipped teams. It is a professional approach to cleaning your building. It is open and direct communication when things go off track. It is thorough employee screening, employee badges and employee uniforms. If your commercial cleaning company doesn’t operate at a high level of professionalism, you have to ask yourself why? 9. Is Quality Control A Weak Point For Your Janitorial Services Company? Good service shouldn’t be a maybe or a sometimes or a once in awhile, it should be a nearly always. Even if your janitorial budget is tight you are paying for something, you should get it. The best janitorial companies have systems and process to keep everyone on track. They conduct regular janitorial inspections to manage quality and consistency. They meet regularly with customers to understand what is working, what is not and where they can do better. Is your office cleaning company delivering the results, consistency and quality you deserve? Every cleaning company will make mistakes and occasional missteps, but when they start adding up, it is likely that apathy has set in with your cleaning company and their people. Apathy is contagious and when it gets a foothold, it’s too late to walk it back. If your cleaning company generates more complaints than compliments, it might be time to look elsewhere. While there are many cleaning companies getting it wrong and racking up far too many mistakes, there are companies getting it right, day after day. The trick as a Facility Manager is to wade through the crowded janitorial marketplace to find those companies poised to deliver on their promises. What are the companies that get it right doing differently? The most effective Detroit cleaning companies know that transparent pricing helps you understand what you are buying and keeps everyone on track. They know that communication and responsiveness are critical in a service business. The best commercial janitorial services know that people are the starting point of effective service delivery and they make their people processes a priority in order to find, hire, retain and manage great people who are a great fit for the work. They understand that top notch cleaning equipment and environmentally friendly products do the best job for the best price delivering great service, great value and a healthy work environment. They know that frequent janitorial inspections identify issues before they become problems. They appreciate that security and safety in your facility is paramount. These industry leaders don’t take shortcuts with training, they make quality control a prime directive and operate with a professionalism that heralds in great service. While it isn’t easy to separate the good from the bad, armed with the right information, you can ask the right questions and get the information you need to make sound choices in your facility. Are You Making This Mistake In Your Search For a Cleaning Company? There are a number of factors that a Facility Manager may use to find the right commercial cleaning company but so often, it can come down to price. Now, we aren’t suggesting that you bail on your budgets or not shop around for the best value for your facility, however, price is just one PART of the equation of a successful commercial cleaning program. Rather than shop on price, it can be better to cultivate a short list of the best and most effective commercial cleaning companies and THEN look at price among these proven janitorial contractors. So if the mistake is looking solely at price to make a decision on your janitorial services, what SHOULD you be looking for? There are a few qualities and practices that point straight to exceptional cleaning services. While no single item is the defining one, taken together, these can predict a high level of effective, responsive, even affordable janitorial service. Let’s take a look at what you should be searching for in the search for effective, high value janitorial services. Janitorial prices aren’t always easy to compare, but they should be. Far too many cleaning companies don’t put the time into visiting your facility and meeting with you to draw up a quote that reflects what you and your facility require. Maybe they don’t know how or maybe they think they can just come at you for more money down the road. Likewise, imprecise cleaning bids make it harder to compare ‘apples to apples’ so that you can find the work you need for the best possible price. Adding to that hurried, imprecise janitorial quotes don’t adequately weight your real needs leading to bids that may be cheaper without actually accounting for the real work needed to maintain your facility. Cloudy pricing and fuzzy janitorial quotes make it harder to compare, plan, budget and even hold your commercial cleaning services accountable to the work they promised. Cleaning services are primarily a service business and thus, the people servicing YOU business must be safe. There’s a leap of faith that happens letting people in and out of your facility, often after hours. That leap of faith must be based upon the real security of knowing your janitorial company effectively screens their people. That means, at minimum, a thorough criminal background check and mutli panel drug screening. This helps assure you can feel comfortable with the people in and out of your facility and instills a level of trust and confidence in your commercial cleaning company that you should be able to count on. Does Your Cleaning Services Company Provide Effective Basic & Specialized Employee Training? Again, because it’s a service business, your janitorial company’s people must be given the training that will help them be successful on the job. That means a solid basic training structure that helps cleaners, office cleaners, janitors and custodians all understand what their job is and how to do it. Good training also means that the individuals cleaning YOUR facility are also trained on any sub specialties that apply like school cleaning, office cleaning, medical cleaning, industrial cleaning and more as ell as being trained in the areas that are unique to you, your facility and your needs. Employees that have the tools and training to succeed are much more likely to do good work, enjoy their jobs and stay put. Does Your Janitorial Services Have Employee Management, Incentives & Pay That Is Competitive & Fosters Success And Retention? If your janitorial company doesn’t consistently have sound management, competitive pay and opportunities where employees are rewarded for stellar work, they are not doing enough to foster employee success and retention. A great deal of janitorial work falls under unskilled labor but there IS skill involved and some people are a better fit for the work and do better long term than others. So when a cleaning company works to identify and retain their best people through competitive pay, advancement opportunities, benefits and recognition, you the customer benefit. How? Janitorial turnover tends to be high within the industry but the best building services contractors have figured out how to shave down their turnover. Less turnover leads to fewer new faces in your building. And reduced janitorial turnover also reduces onboarding expenses in the hiring, screening and training areas. This translates to overall lower employment costs. So more competitive janitorial pay can actually translate into overall reduced costs for your janitorial company and yourself not to mention the service consistency you get from quality retention. How About a Responsive, Solid Communications Plan From Your Housekeeping Service? 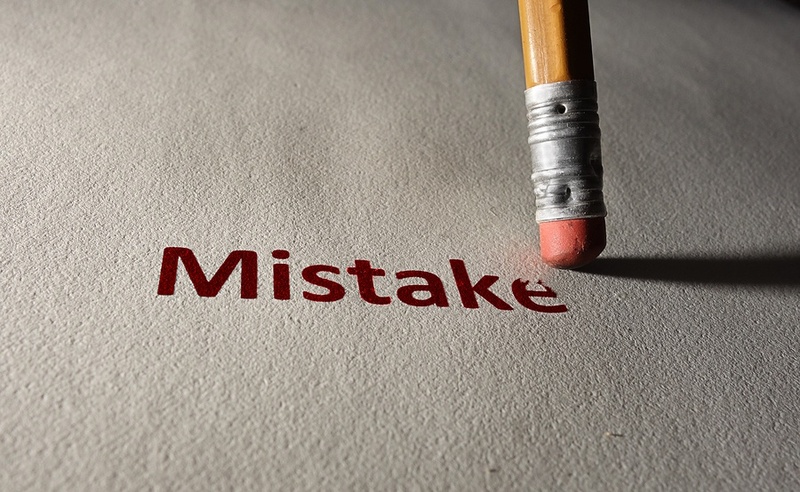 No matter how great your janitorial services company’s people are, they ARE people and people make mistakes. So however responsive and effective your Detroit cleaning company is, they will occasionally fail to meet your expectations. The best cleaning companies know this and have a solid communications plan in place BEFORE it happens. This way you can let them know in an easy way when something is needed, however big or small. The best companies want it to be simple for you to let them know when they are off track so they can fix it before they become a thorn in your side and the value of what you are getting slowly erodes. Does Your Janitorial Services Provider Have the Systems & Processes To Guarantee Reliability Through Accountability? Most employee want to be good at their jobs but the best companies are sure to implement systems and processes that assure reliability through accountability. Whether it’s detailed cleaning specs for employees to follow, regular janitorial inspections or Smart Cleaning plans that help Facility Managers manage reduced budgets in a smart way, in the most effective cleaning companies, nothing happens without a plan. Are Regular Janitorial Inspections A Part of Your Commercial Cleaning Service? One of the ways your janitorial company can catch an issue before it becomes a real problem is through regular janitorial inspections. Far too many companies 'set it and forget it' but the reality is that even very good people need accountability and direction. Companies that perform regular janitorial inspections can course correct employees quickly before forgetting or mediocre work becomes habituated. And in both executing and communicating inspections to you as a Facility Manager, your cleaning company helps manage your expectations and fills the critical communication gap so you don’t end up having to manage your janitorial company’s people for them. Do You Get An Effectual Green Cleaning Program From Your Commercial Office Cleaning Company? Green cleaning cannot simply be a feel good buzzword at your commercial cleaning company. It must be intentioned and have real meat behind it. Green cleaning and environmentally responsible cleaning has a number of possible applications from green cleaning products to reduced waste, increased recycling, reduced resource/energy consumption, protecting indoor air quality, using low noise equipment and so much more. So if green cleaning is an important part of your overall plan, you must work with cleaning services companies that share your commitment to advancing green building practices. Does Your Janitorial Contractor Utilize State Of The Art & Well Maintained Equipment? Part of green cleaning that people don’t often think about is the need for up to date equipment that is well maintained. The cleaning industry has made significant advances in just the last few years that have pushed green cleaning capabilities while cutting costs and increasing efficiencies. Rather than add a costly tech component to your cleaning services, these advancements can actually reduce janitorial costs by making things easier, faster, cleaner and more. New vacuum cleaners and lighter and thus easier on the cleaners themselves, quieter which is good for everyone and better at improving air quality and creating an overall, healthier work environment. Dated, poorly maintained equipment is slower, dirtier, less effective and can actually present risks to both cleaning staff and your building’s occupants. Cleaning has definitely come into the 21st century. Even in the last few years, the advancements in the professional cleaning industry are nothing short of amazing. A tightening of belts and changing economy has had the benefit of creating impressive innovation that benefits everyone involved. Better cleaning can be done in less time offering both you and your cleaning company an ability to thrive even with tight margins and tighter budgets. No more is cleaning in the realm of a bucket and mop. There is a body of science based cleaning practices that we know works to create healthier work environments and improve solid business outcomes by things like improving productivity and reducing absenteeism and even attrition by reducing the spread of disease. If your janitorial company isn’t up to speed on the science of cleaning and new technologies, you are getting shorted on overall value and quality. The cleaning companies delivering the most effective service likely do so because they set out to. As they say, if you don’t plan for success you plan to fail. Companies that set out to be leaders in their field offer their customers the best in terms of practices and methods LONG BEFORE those practices and methods become industry standards. Of course, everyone would like to work with the best of the best but often this is cost prohibitive. But with cleaning and janitorial, the field is so competitive and saturated even that the best cleaning companies are forced to get very lean and efficient as they have to be competitive with the market as so much of janitorial is selected based on price. The upshot for you as a customer is that the best service often costs little more than the worst service and delivers a substantially better value, never mind the reduced headaches and hassles. Does your cleaning company have a company culture that strives to continually improve and offer customers their best? Is your janitorial services company committed to industry best practices? When searching for your next partner in maintaining your facility, make sure to look under the hood at what they really have to offer you and your facility. Industrial cleaning carries with it a more complex set of compliance issues and requirements than general office cleaning. The work is different, the facilities different and the needs of facilities different. Ranging from manufacturing to distribution, tech and more-- all buildings vary tremendously in their specific requirements. So not only does a commercial cleaning company have to understand the business of industrial maintenance services, they must have the insight and experience to understand the complex individual needs of YOUR industrial facility. Industrial building maintenance services come with their own prerequisites, goals, compliance requirements and regulatory issues. You shouldn’t have to settle for one size fits all commercial cleaning services. There are commercial cleaning companies that go out of their way to make YOUR business THEIR business by making themselves familiar with your pain points and needs in order to keep you in compliance and keep your industrial facility in tip top condition. How can you leave the so-so commercial cleaning companies in the rear view mirror and hitch a ride with a Michigan industrial cleaning company capable of delivering responsive and effective maintenance services? While any janitorial company certainly WANTS your business, only a small few manufacturing cleaning services are set up and PREPARED to do the work required in industrial cleaning. The question becomes, how do you as a Facility Manager identify those companies up to the work? Industrial facility management certainly has some commonalities with general office cleaning. There are janitorial budgets, floors to be cleaned, restrooms and more, however, as much as they have in common there are things that set industrial cleaning apart. Industrial and manufacturing cleaning bring with them a complex set of compliance, regulatory and health and safety issues. If a commercial cleaning company wants your business, they need to make your issues their issues. If you are looking for prospective commercial industrial cleaning services, be prepared to ask the tough questions, inquire what kind of experience the janitorial company has had with similar accounts. Ask what they do to train their teams to handle the unique needs of industrial facilities. Ask what processes they use to custom tailor their services to the unique needs and requirements of YOUR facility. Any Detroit industrial cleaning company that has resources into preparing themselves and their teams to serve industrial facilities will be pleased to share this with you. As a Facility Manager, sure you know how to ask the tough questions and yet, grilling a bunch of commercial cleaning companies is probably not your idea of a good time. Is it anyone's? If you are anything like many of the Facility managers we work with everyday, you already have plenty on your plate. There is a way to get some of that basic, and not so basic, information that can make all of the difference when it comes to finding the right industrial janitorial services to partner with. ISSA CIMS certification offers you a free shortcut to help ‘sort’ through the crowded janitorial marketplace to find your ‘needle in the haystack’ of sorts. CIMS certification is a deliberate certification process that requires a building services company to demonstrate their competencies in a variety of areas critical to the delivery of high levels of cleaning and maintenance. CIMS or the Cleaning Industry Management Standard demonstrates a manufacturing cleaning company’s commitment to industry best practices. These best practices are systems and methods proven to correlate with quality, effective service and consistently satisfied customers. These benchmarks are all predictors of success that can at the very least, give you a healthy starting point in the search for industrial cleaning services. Our suggestion is use CIMS as a starting point to develop your short list of qualified janitorial companies, then do a RFP (Request for Proposal) including on site walk thrus using price and your feel for which company will ultimately fit your needs best. People are the benchmark of the service industry. Industrial cleaning, really any kind of cleaning and maintenance service business, is only as good as their people. People are the frontline service deliverers and who they are, how they are trained and managed matters. This being the case, your prospective industrial cleaning service should prioritize attracting, screening, hiring, training and managing great people who are a great fit for the work. Companies that take short cuts with their people, like illegally subcontracting, insufficient screening and poor training, will take shortcuts everywhere. Are your prospective industrial janitorial services doing what they need to in order to assure the people in and out of your facility are prepared to do their best? How do they train their teams? How do they handle errors and issues when they come up? Effective, responsive, predictably consistent service doesn’t happen by accident. The best Michigan janitorial companies build it in by design. ISSA CIMS certification offers confirmation of the systems and processes a cleaning company needs to effectively manage high level industrial cleaning accounts. CIMS confirms meaningful hiring processes, effective and complete training, consistent, valuable management practices and the systems in place to all but guarantee results. While there is no guarantee of great service from ANY company, CIMS and systems, processes and safeguards all stack the deck in your favor, making it more likely that you find a true partner in your Detroit industrial janitorial contractor. Do You Know What’s In Your Janitorial Company’s Closet? You hired a janitorial company so you don’t have to micromanage every task and detail right? You want janitorial services that run smoothly, are effective with the least amount of energy expended by you. But in order to be able to have this kind of hands off’ relationship with your commercial cleaning company, you must have a building services contractor that is experienced, professional and poised to deliver the level of janitorial services you and your facility require. What is one way to gauge whether you are contracted with one of the better janitorial companies? You can check the janitorial closet because what you DON’T know CAN hurt you. Knowledge is indeed power and your janitorial closet can tell you a great deal about the level of commercial cleaning services you are getting. Sure a clean, well organized janitorial closet makes a positive impression but it goes beyond that. You know the saying about if the customer bathroom at a restaurant is dirty you should be afraid of the state of cleanliness of the kitchen? The same idea applies to your janitorial closet. Your janitorial cleaning services knows that at any moment, you can observe this area, so if they aren’t working hard to keep this very visible area clean and well organized, how do you think the rest of your facility is faring? A clean cleaning closet and storage area can translate into a level of attention that extends to every area of your building. 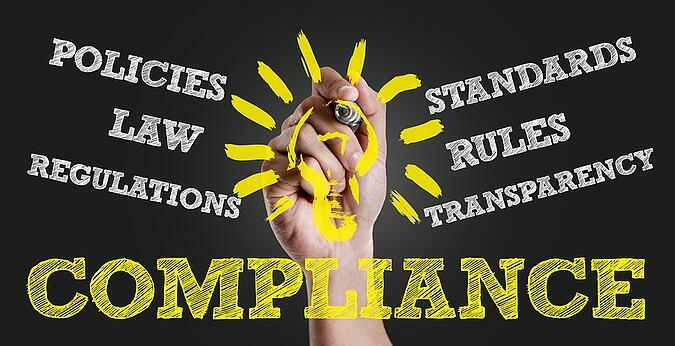 Likewise, there are actual compliance requirements for safe chemical storage and labeling that if your commercial cleaning company is not doing constitute an unnecessary risk. The most experienced, professional and effective janitorial companies understand that janitorial best practices take industrial cleaning companies and office cleaning companies from good to great. You don’t want your work surfaces wiped down with the very same towel used to wipe a toilet lid right? And you certainly don’t want the office cafeteria floor ‘cleaned’ with a dirty, germ-infested, funky smelling mop. Not only is this disquieting and gross, it’s unhealthy, but it could be happening to you. All too often less than scrupulous janitorial cleaning services skimp on practices that protect the health and integrity of your facility, janitorial best practices that just make sense. Your office cleaners may use outdated cleaning methods, equipment that has seen better days and methods that move dirt, grime and germs around rather than remove them. What are the major offenders? Rags used without regard for cross contamination, unlabeled chemical bottles, equipment that is dated or sorely in need of maintenance in order to do the job you need it to, funky string mops that just move dirt around your facility and worse. Is Your Janitorial Company Using Color Coded Rags & Towels? One janitorial industry best practice that is easy, cost effective and just makes sense is the use of a color coded rag and towel system. A color-coded rag system uses rags, cloths and towels of varying color for specified areas in order to reduce or eliminate cross-contamination and get a cleaner, healthier work environment. For example, when office cleaning, no office cleaner should clean your desk or phone with the same cloth used to wipe down a urinal. Makes sense right? Or say you use industrial cleaning services, you wouldn’t want a greasy cleaning cloth used to wipe down doors or windows, right? When you designate specific colors for particular duties you give employees an easy to use system for preventing cross-contamination and even cleaning smarter.Color-coded rags make it simplified for your commercial cleaning company to organize their materials and their day by offering an easy, visual coding system. A color-coded microfiber cloth system eventually just becomes a healthy habit that benefits everyone. Additionally, this system is visual making it easy for managers, supervisors and the like to assure office cleaners and cleaning teams are following procedures. Is Your Commercial Cleaning Company’s Equipment Up to Date & Well-Maintained? Sure you don’t need an office cleaning company with every new toy or piece of equipment. Still, the equipment your janitorial company uses matters for a number of reasons. First, the right vacuum cleaners, carpet cleaners and such can help you earn LEEDs points and improve your overall green cleaning goals. Some of the newer, improved vacuum cleaners are lighter (to the benefit of the cleaning person) and offer lower decibel operation (to the benefit of office cleaners and building occupants.) Likewise, better equipment can often do a better job faster saving you time and money. 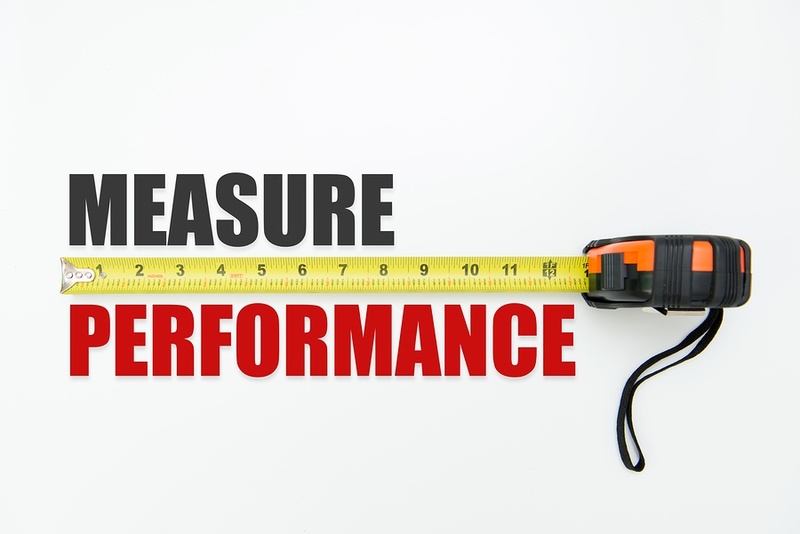 As janitorial budgets continue to tighten, the best cost savings measures tend to come from performance improvements that save money and time. The most experienced commercial cleaning companies understand that they must facto equipment purchases and maintenance into costs in order to continue to serve their customers effectively. Is Green Cleaning A Buzzword or a Practice With Your Janitorial Company? Green cleaning is certainly an industry buzzword but is your cleaning company putting their money where their mouth is? Are they using LEEDs approved equipment and processes? Are they using environmentally sound cleaners and are they using them in the right ways? Are they protecting your building’s occupants from the dangers of cross-contaminations? Are they utilizing best practices that conserve resources like paper, trash bags and water? Information is power so ask your janitorial services company to tell you how they work to meet their own green goals as well as those of their customers. Is Your Janitorial Services Company Communicating Through Regular Janitorial Inspections? One way your janitorial company can assure reliability through accountability is regular janitorial inspections, including looking over the state and condition of the janitorial closet. Look, we are all human and even the best of us can go off track from time to time. Regular janitorial inspections help train teams to do the right thing every time. And employees that are rewarded for great performance keep operating at that level and even encourage other team mates to rise to their level. Your cleaning company can’t fix what they don’t know and if they are not regularly inspecting their own teams’ work, you are likely to be the one finding and reporting the problems long after they should have been remedied. It is without a doubt that the right janitorial service company Michigan can benefit your facility in a number of ways. And yet, if your cleaning company is ineffective, they will create more problems for you than they solve. 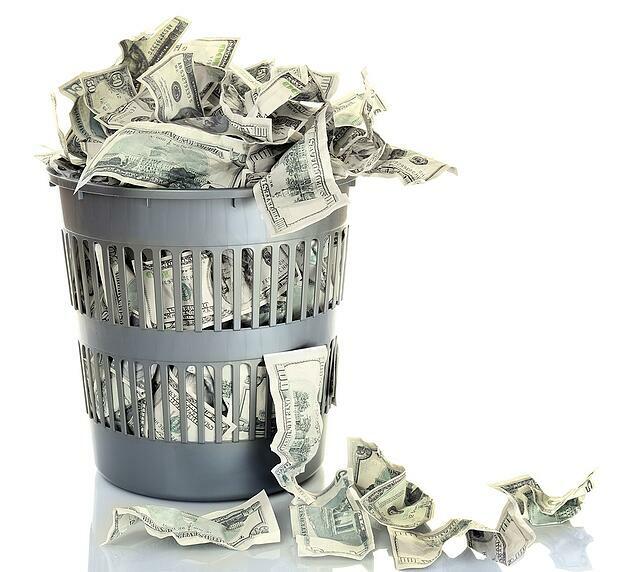 Don’t waste your time and money on a janitorial services company that can’t give you what you need. Cleaning and maintaining your facilities are an ongoing service that impacts your business each and every day, so choosing effective, professional janitorial services Michigan can save you money, time, costly mistakes, a stack of employee/tenant complaints and a myriad of hassles down the road. Where To Begin With Finding Cleaning Services In Michigan? So if finding the right prospective cleaning companies in Michigan is so critical, where do you begin? The best place to start is by putting together your short list and building a “proof” file for each contender. Janitorial companies can say anything they want to get your business, but that doesn’t make it true. It is up to you to confirm that there is substance to their claims and that they have a history of doing what they say they will. Separating the sales pitch from the substance is critical to finding a janitorial services company that will honor their word and deliver the professional, effective service you and your facility deserve. For instance, many janitorial services in Michigan will tout their cleaner training programs but are they actually putting their system to use training their teams or is it just a dusty binder sitting on a desk in HR? A potential commercial cleaning company should be able to offer documented proof that they are actually training employees with their system. Real training must happen prior to a cleaner entering your facility as well as follow up training in the field, don’t be content to let a prospective janitorial services company use training as a prospecting tool alone. Real references from current customers are great but references from accounts a prospective janitorial service company has lost are gold. No matter how proficient a cleaning company is, they have lost business and a past customer is likely to be far more candid about their experience. And when you get references of any kind, follow through and call them. Sure not everyone will get back to you but many will understanding and appreciating the need for sharing this valued information. What kind of questions are good to ask? What was the one thing that the janitorial company did really well? What things might the cleaning company improve upon? How did you find the overall quality of the company’s front line employees? How did you find the overall quality of the management team? When you had an issue, was it communicated to on site staff timely? Did they conduct regular janitorial inspections? How did they generally communicate with you? When you had an issue or problem, how quick & effectively did they address it? Is Your Prospective Michigan Janitorial Service Set Up To Succeed? Many, many commercial cleaning companies truly want to provide great service to their accounts, but not all of them are set up to succeed. So it is wise to scratch beneath the service to see if a prospective janitorial service in Michigan has the systems and processes in place to assure reliability through accountability. So ask to be shown sample work instructions they give cleaners at another site. These work instructions should identify what individual cleaners are tasked with each day, by position. And if a commercial cleaning company has self-inspection forms, even better. Also inquire about their janitorial inspection process and ask to see a copy of one completed for another customer. You should be on the lookout for completeness, detailed notes and realistic scores. And even the best Michigan cleaning companies occasionally get off track so inquire about their communications process and handling of complaints. An effective, experienced cleaning company will have a clear, articulated communications plan in process, ready to show you. Is Their Green Cleaning Program Real or Make Believe? Does your Michigan janitorial company offer a real green cleaning program? In order to accomplish your eco goals, you have to be willing to look past the spin to the real core of green cleaning. Do their eco-friendly and sustainability promises hold up under scrutiny? Will they put green cleaning and sustainability into practice in your facility? Sustainable facility maintenance has never been more relevant than it is right now and even if you aren’t sure green cleaning is something you need, your prospective Michigan janitorial services company should have a solid program for when you do think you might need it. Most businesses genuinely want to do their best with respect to green cleaning goals. But not every cleaning company agrees on what green means and how it should be implemented. That often means inflated claims, empty promises and watered down results in how green cleaning is implemented in your facility. If a cleaning company’s green cleaning promises don’t hold water, they offer us a false sense of progress and they sidetrack us from real and effective measures that make our buildings safer and healthier. One way to streamline the process of finding the most effective Michigan janitorial company is to develop your short list from those companies that are CIMS certified, meaning that an independent examiner has performed an audit to verify that they have all industry best practices in place. This FREE shortcut can save you time and by weeding out those janitorial services company that are likely to take shortcuts with you, your employees and your precious reputation. An ISSA CIMS certified janitorial company has proven itself to be dedicated to a high standard of service, strives for customer satisfaction in every facet of its operations, from the pricing/bidding component, to the acquisition and training of employees to the actual execution of services right down to invoicing. And an ISSA CIMS certified company is far more likely to be with a solid management system and a competent staffing plan, allowing it to keep its own costs down, which translates into effective service and value for you. Commercial restroom cleaning services, it’s a dirty job indeed. So we look to the professionals to keep our office restrooms and facility restrooms in clean, fresh condition for the benefit of employees, visitors, customers and the overall positive image of our facility. But how do you evaluate your restroom cleaners? How do you know what your restroom cleaning service is and isn’t doing? How do you evaluate what your restroom sanitation service should be doing? How do you assure you are getting real value from your restroom cleaning and not just a quick once over that leaves behind odor and germs? And if you have dirty restrooms and your restroom cleaners aren’t delivering on their promises to you, how do you make them step up or step out? There is soil, smudges and dirt on and around door handles. Wetness, smears, streaks and worse sully restroom mirrors. Your restroom floors are filthy or once over cleaned with little attention to detail. There is an unpleasant, noticeable “bathroom” smell. Soap, paper towels and other supplies are not fully stocked. There are overfilled trash cans and refuse may eve have accumulated on the floor. Sinks are soiled or replete with deposits and grime. Spilled soap and soil collect on and around sinks. Sink hard ware is grimy and sink counters are dirt or have standing water. Inadequate maintenance of toilets and urinals is reflected in sediment and grimy buildup. The panels and stalls are poorly maintained with grime, fingerprints and graffiti. Sanitary disposal containers are broken, damaged or full. Floor drains have accumulated soil, dust and debris and the grout is soiled. One of the many challenges in getting great restroom cleaning services is how do you know what great restroom cleaners look like if you have never had them? The best janitorial companies are clearly doing something different to carefully maintain restrooms, but what exactly are they doing? Proper restroom sanitation depends upon a myriad of factors from cleaning for health to Smart Cleaning to the many details that make all of the difference in looking clean versus really being clean. No janitorial services company is going to get your office restrooms so clean that you’d eat off of them—that’s just gross. But the best commercial cleaning companies can deliver consistently clean restrooms that look clean, smell fresh and offer a micro level of clean that will reduce the spread of disease causing germs in your facility. Germs that cause illness that reduces employee productivity, increases absenteeism and even elevates employee turnover! Office restroom cleaning is a whole other animal than your average home bathroom. Commercial restrooms see very high turnover and all of those people in and out of your office restrooms can make for a tough job worthy of only the best janitorial service companies. Evaluating your restroom cleaning services as well as regular janitorial inspections can help keep your commercial cleaning contractor on track and your restrooms well maintained. What do well maintained office restrooms look like? Meticulous cleaning of "hot spots," and high contact “touch points” is done to reduce the spread of disease causing germs where it is needed most. The toilet and toilet seats are cleaned, disinfected and wiped dry. The mirrors should be shiny, clean, and free of streaks and smudges. Areas behind toilets and other hard-to-reach yet essential areas are well cleaned to minimize odor. Urinal handles are cleaned, disinfected, wiped dry with urinal screens cleaned and blocks replaced. Feminine hygiene dispensers are cleaned, disinfected and restocked with new liners put in place when needed. Regular restocking of must have supplies like toilet paper, hand soap and paper towels is done. Trash & sanitary disposal containers are emptied regularly well BEFORE they are full. Fixtures like dryers, paper dispensers and more are regularly inspected to confirm they are functioning properly. Industry best practices are used regularly-- chemicals, agitation and extraction to insure walls, floors, toilets, urinals, sinks, mirrors and fixtures are scrubbed and deep cleaned. All cleaning is completed first, then disinfecting with proper dwell times is implemented to reduce disease causing germs and bacteria. Restroom cleaning cloths, towel and mops are color coded and never used outside of the restroom. Restroom stalls and partitions are free of grime, fingerprints, gum, gunk and graffiti. Restroom floor drains and grout are sufficiently clean. Air vents receive a regular dusting or vacuuming. All restroom lighting is functioning. There are no noticeable ‘toilet’ odors and the overall smell is clean and fresh. Corners, ceilings and base boards are regularly cleaned and maintained. Deep cleaning is periodically done to eliminate long term issues piling up and protect your building’s assets. Your janitorial services employ state of the art cleaning equipment to do the best job for the best price delivering both great service and great value. Visual inspections are done regularly and areas needing future maintenance are noted. Your janitorial supply closet is tidy, organized, labeled and stocked. Maintaining, repairing and replacing cleaning equipment is done when needed. If your janitorial services are in the toilet so to speak, they need to ether step up or move on. Maybe you need a clean break and are looking for a janitorial company or commercial cleaning company ready and able to deliver top notch restroom cleaning services in your facility. While it isn’t a snap, finding the most effective restroom cleaning company is possible. If you are looking for a new building services contractor, you must arm yourself with the information needed to evaluate whether a cleaning company is going to be able to deliver the level of services you and your facility deserve. 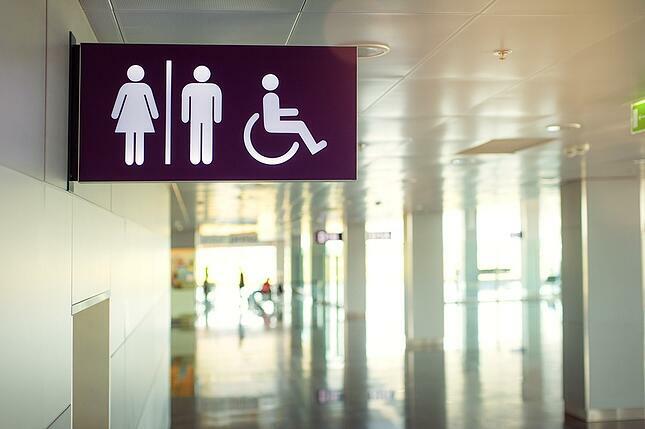 Your office restrooms and commercial restrooms are an essential component of the all-encompassing health and image of your facility and business.